Faces in objects - Things look back at you. Everyday objects that appear to have human emotions. Anthropomorphism is a big word for these pictures. 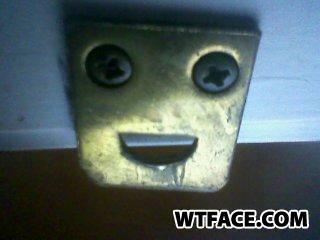 If you have an object in your house that looks like a face send us a picture of it. Do You See Something Different? = The new jokes on anti joke now. ©2008-2019 What The Face. All rights reserved.